Setting up your electricity, gas, water, Internet, TV and phone are necessary parts of your new life. Getting them set up should be relatively easy, and if you are moving into a property that has already been lived in, you would expect to have everything connected and installed already, although you may wish to do some research on the companies that you use. If you buy a property off plan, you must make sure from the outset that all utilities will be properly and legally connected. It will be up to you to actually get the accounts put in your name once you take over the apartment or villa. If you use choose to use gas and electricity from the same supplier, you can often get a special deal – although it isn’t always the most cost effective way of doing things. It is, however, very easy to change suppliers – just make sure that you aren’t tied in to a fixed time deal! We would recommend becoming part of the OCU (Organisation of Consumers and Users, similar to the Consumer’s Association in the UK), who run campaigns to help members buy electricity and fuel more cheaply. If you are moving into a property that has already been lived in, you would expect to have everything connected and installed. For many years electricity was heavily subsidised by the government which resulted in a huge black hole in the budget – meaning prices are now fairly high to make up for this! In fact, the cost of electricity in Spain is one of the most expensive in Europe. Electricity for an all-electric home with three bedrooms can cost between €75 and €140 per month. While electricity prices are fairly high, gas prices are quite low as the industry is regulated differently. Most of the gas consumed in Spain is bottled gas and currently the price of a bottle of butane is under €14, lower than that price of €17.50 that was still operative at the beginning of 2015. Gas tanks for heating will be dependent on a particular supplier, and you will have to tie yourself into a contract for regular deliveries. Water is a precious commodity. Parts of Spain have had drought conditions for years, while the north west receives more than its fair share of rainy days. Water in Spain is therefore a contentious subject sometimes, especially when you see beautiful golf courses with wonderful greens, while local farmers are desperately trying to save their crops. Despite this, mains water is really not all that expensive unless you are irresponsible and use it for your garden with abandon. Of course, filling swimming pools will be pricey – but then you should realise that an 8m x 4m pool on average holds over 7000 gallons of water. New properties will often have shower rooms only, or just one bath as a way to reduce water consumption. 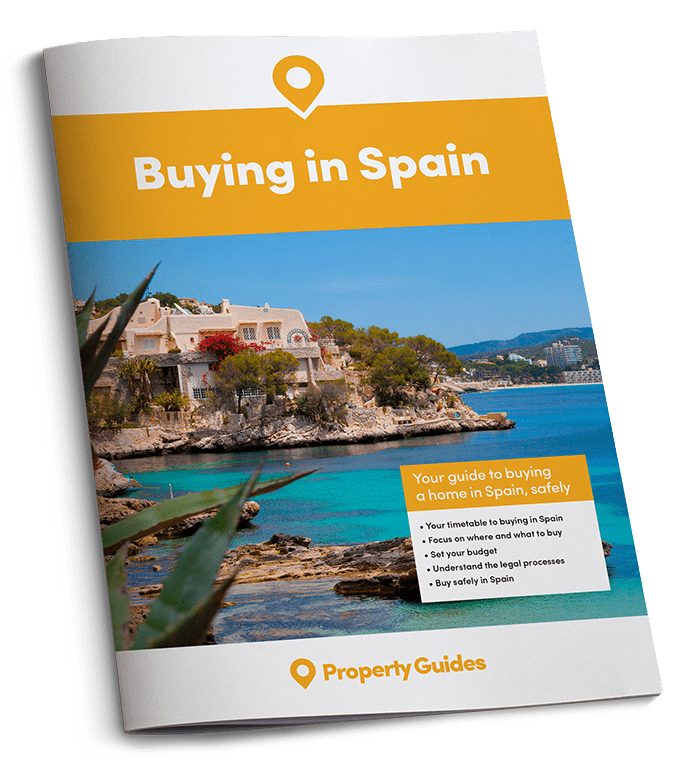 As a guide, water supply for a three bedroom apartment should cost around €35 per month; for a villa with a garden and a pool this will be substantially more. Many people have smart phones these days, but if you need broadband you will need to take out a contract with one of the many internet providers. The main players in Spain are Movistar (Telefónica) who actually owns all the telephone lines, Orange (actually Orange, France), Vodafone (UK owned) and Jazztel (Spanish). All of these companies offer much the same sort of service as each other, but prices can vary. It is a good idea to check precisely what you are being offered, as cheapest isn’t necessarily best – and remember that Movistar own the lines, so in the case of disconnection due to inclement weather, they will get their own customers back online first. Internet contracts will usually cost from €15.95 + IVA (VAT) per month. Using the Internet for video calling through Skype or similar is also popular. The quality of the calls you make will vary, depending on your connection speed and the traffic being carried at any one time. Getting a fixed telephone line can be complicated, especially if you are moving to a new property where there has not previously been a telephone connection. In this case, it’s a good idea to apply for a line and/or number as soon as possible after purchasing your property because this can take from two weeks to two months. The cost per month of a phone line varies from €13.95 to €15.95 + IVA depending on which company you use. It’s important to remember that Movistar own the lines, so in the case of disconnection due to weather they will get their own customers back online first. Telecommunication companies currently offer the best deals if you take out both a fixed contract and a mobile phone contract with them. These contracts usually last 18 months. When you are considering which company to use, make sure there is an English speaking service and you can also ask for your bill to be in English, though not all can provide this. You should also expect to not speak English in the shops of these companies. More and more people are using their TV to access online films, TV programmes and even the Internet. If you wish to watch British TV, you will need a satellite installed and a decoder. There are very good satellite installation companies in Spain, some British owned, and they will usually be able to help you with setting up your system to receive British TV. Try to get recommendations locally for a supplier. It’s a good idea to have Spanish TV too as this will help you learn the language, and keep you informed of what is happening in your new country. People learn languages quickly by watching the news and other programmes in a foreign country and keeping up with what is happening in your area helps you to feel part of the community.